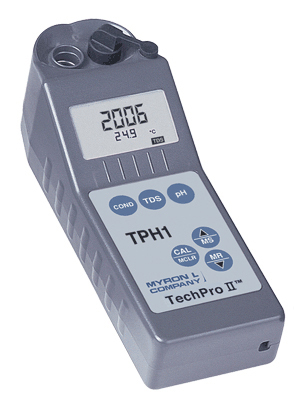 Myron L Digital Water Quality Test Instruments Ultrameter II and TECHPRO II | Applied Membranes Inc. 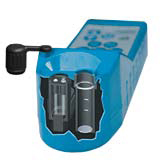 Obtain reliable and accurate measurements of your water source with Myron L’s Hand-Held Digital Water Testers. 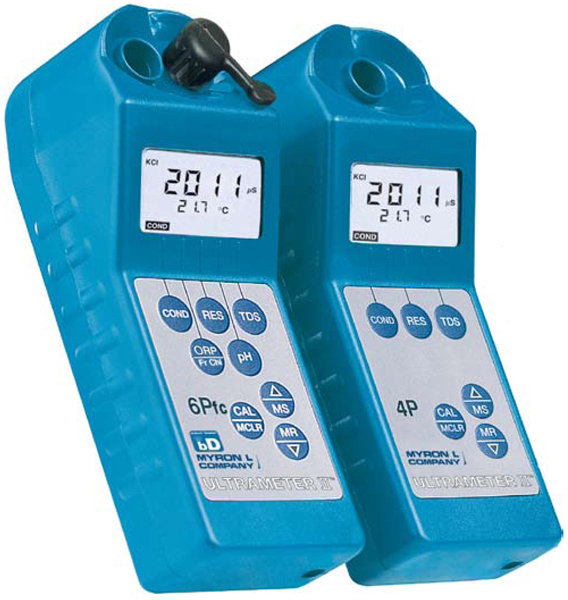 Portable & Easy To Use Myron L handheld meters are lightweight and simple to operate. 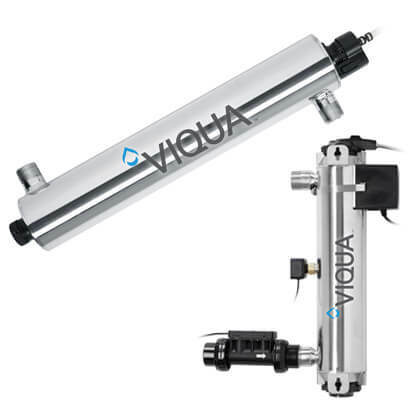 Offering wide range of measurements, the highly stable circuitry delivers the accurate readings needed to assure product quality, prevent equipment damage or verify inline instrumentation in a wide range of applications. The rugged, waterproof case protects the electronics of the instrument and fits comfortably in your hand. Factory calibrated with NIST traceable solutions, each Ultrameter II, TechPro II and Ultrameter III may be supplied with both certifications of traceability and NIST traceable solutions for definitive calibration. 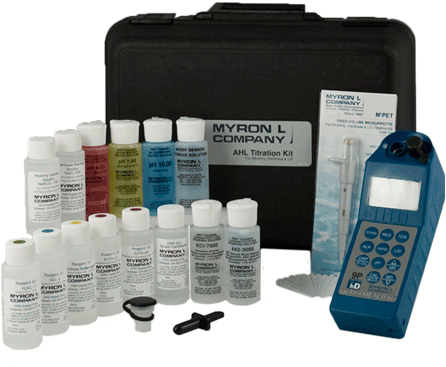 Ideal for water treatment testing as well as other industrial and commercial applications, these instruments reflect Myron L’s 50-plus years of experience designing and building quality measuring instrumentation. 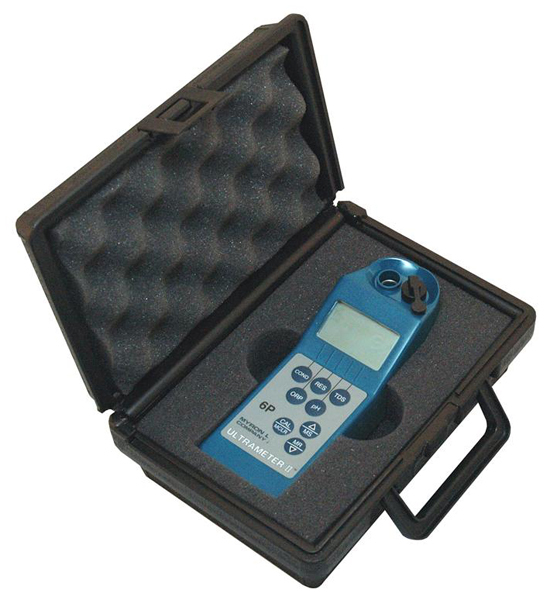 Myron L Ultrameter II Series Hand-Held Testers Feature: 4-Digit Display, Auto-ranging, Adjustable ATC, Adjustable Cond./TDS Ratio, 100-Reading Memory, Low Battery Indicator, Auto-Off. 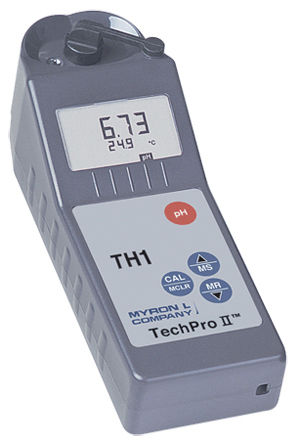 Myron L TECHPROII Series Testers Feature: Memory storage (20 readings), Internal Sensor to prevent breakage, Auto shut-off for longer battery life, Lightweight and fits in the palm of your hand, Waterproof case. The Ultrameter III performs in-cell conductometric titrations and provides a convenient way to determine alkalinity, hardness and LSI in the field. All required reagents and equipment are included in the 9P titration kit. 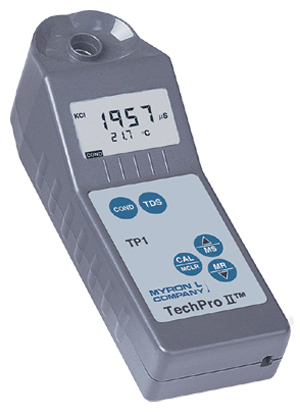 Features: LSI Calculator, Autoranging, Adjustable ATC and Cond/TDS conversion ratios, 100-Reading Memory with Date & Time stamp, pH Calibration , Auto-off and Low Battery indicator. 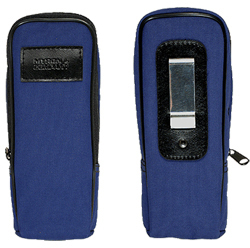 Small hard foam-lined protective carry case for all digital handheld models. Soft protective Nylon padded case with zipper closure and belt clip for hands-free mobility for all digital handheld models. Certificates confirming the NIST traceability of a pDS or DS Meter are available.